They say that you can tell a person by the way they not only treat their car, but by the interior as well. That's why I always strive to have the interior of my car as clean as possible. It's not always possible with kids, but it can be done. 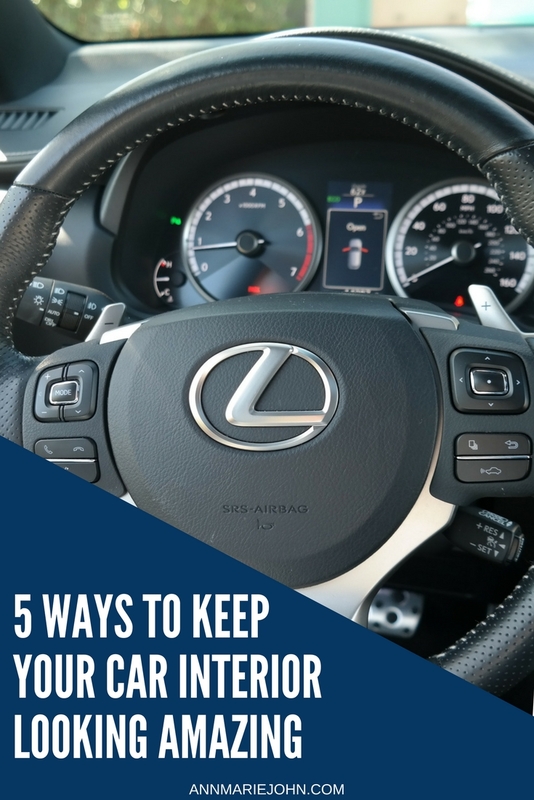 Today I want to share with you 5 ways you can keep your car interior looking amazing. This post is made possible by Lexus, however all opinions are mine, and mine alone. Don't you love that new car smell? However, once the kids arrive, that new car smell seems to completely disappear. What is it about kids not wanting to clean up after themselves, and even sneaking food into your car when you've made it abundantly clear that food was a NO-NO. However, do not despair there are a few things that you can do. After all keeping the inside of your car clean and tidy not only makes it pleasant for you, and your passengers, but it also helps to maintain the value of your vehicle. While you can pay a significant amount for a professional to detail your vehicle, you can save that money and do it yourself. Here are a few tips for keeping your car's interior looking and smelling fresh and clean for years to come. This is really the first thing you should do before doing anything else. If it doesn't belong in your vehicle, take it out! Start from the front of the vehicle and don't forget the trunk. Go through your vehicle and remove all the extra toys, food, clothing, and even accessories that have no use in your car, take them out and place them where they belong. Now that all the extras are gone, it's time to vacuum. You can either take it to a car wash and use their vacuum, or even use your own household vacuum with attachment. Vacuum the seat, nooks and cranny's for items that may be stuck between the seat such as food etc. Don't forget the floor of your car where the dirt and dust from the ground is tracked. Using a carpet cleaner when you vacuum your floors will leave your floor smelling amazing! It's always a good idea to have mats in your car, and if you do have them, I suggest taking them out and cleaning them with a cleaning solution if they are made of rubber. You can throw your cloth mats into the washer with laundry detergent for a good clean. If there are stains, you can pretreat with a stain remover before washing. Did you know that you can clean your seats? There are car seat solutions (both leather and cloth) that you can use or you can even make your own. Follow the directions for whatever cleaning solution you are using to prevent damage. For cloth seats we suggest doing this on a sunny day and on a day when you won't be using it, this way your seats will be dry by the time you're ready to use it. For leather seats, applying a conditioner will keep your seats moisturized. Wipe away the dust and grime from your dashboard with a soft cloth and a cleaner. Don't forget to wipe your steering wheel as that also gets dirty, even if you're using a steering wheel cover. To clean your air vents, you can use a cotton swab soaked in the same car cleaner to clean as well. 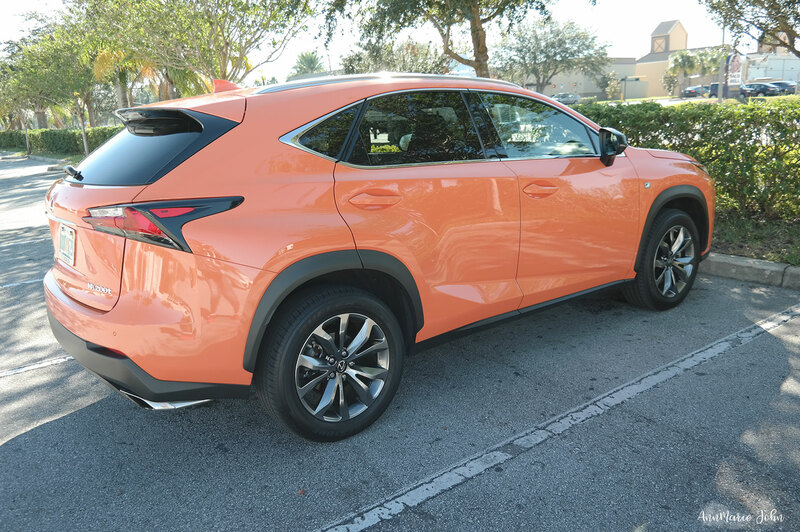 Now that you know how to take care of your car, I want to share some details about the beautiful Lexus NX200t that I was able to test drive for our week spent at Walt Disney World. Advanced technology airbag system Supplemental Restraint System (SRS) for driver and front passenger. The Lexus NX 200t comes with a luxurious interior that includes a leather-trimmed heated steering wheel and shift knob, but what really stands out is its impressive infotainment center which boasts an incredible 7" multimedia display screen which makes accessing your multimedia features very accessible. The screen can be divided into 1-3 sections that are customizable based on your preference (HVAC, audio or navigation). It also includes voice recognition with steering wheel control making it ultra easy to keep your eyes on the road. 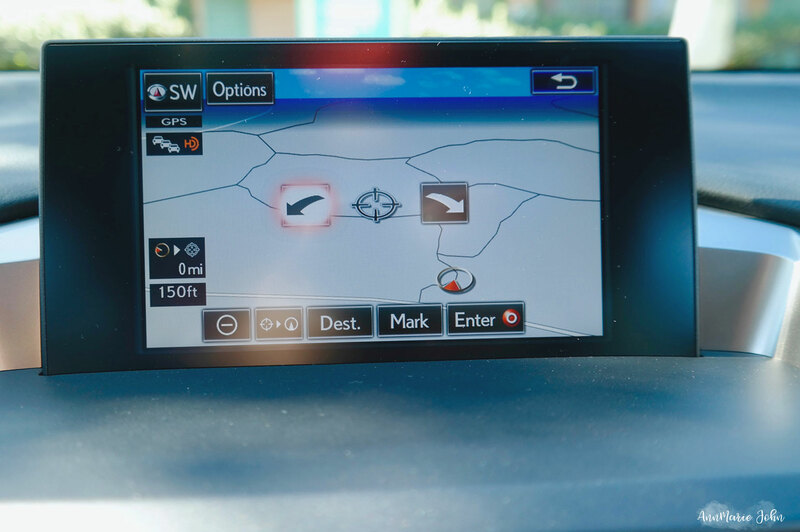 Speaking of the road, I was in love with the navigation system which included predictive traffic. 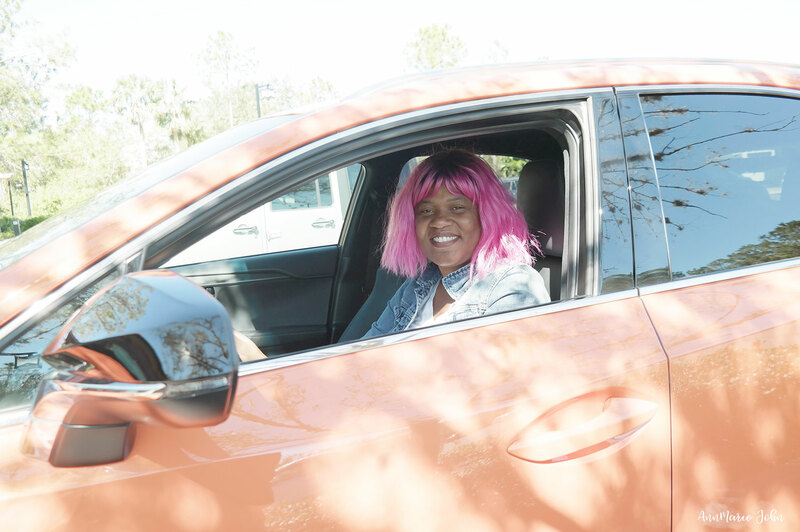 It was able to give me updates based on the current traffic and alternate routes when traffic became heavy, which is usually the case in Orlando during rush hour. I can't say that I truly loved everything that the NX200t had to offer, or I'd be lying. I wasn't impressed with the trunk space. I have a big family and while NX 200t can seat a family of 5 comfortably from point A to point B, personally I don't think the trunk is big enough for all such a big household. 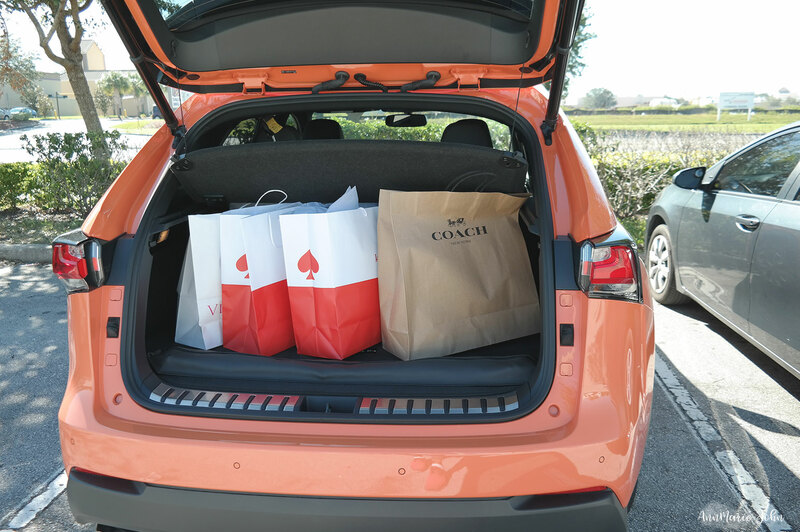 I love to shop and what you can see from me just placing 4 of my shopping bags in the trunk, there really wasn't much space to hold tons more. 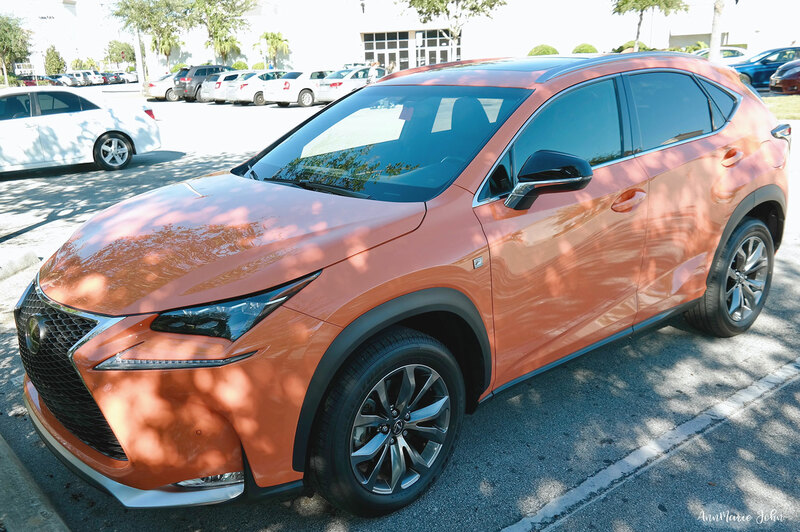 If you're looking for a compact SUV, with all the bells and whistles, then the Lexus NX 200t might just be what you're looking for.